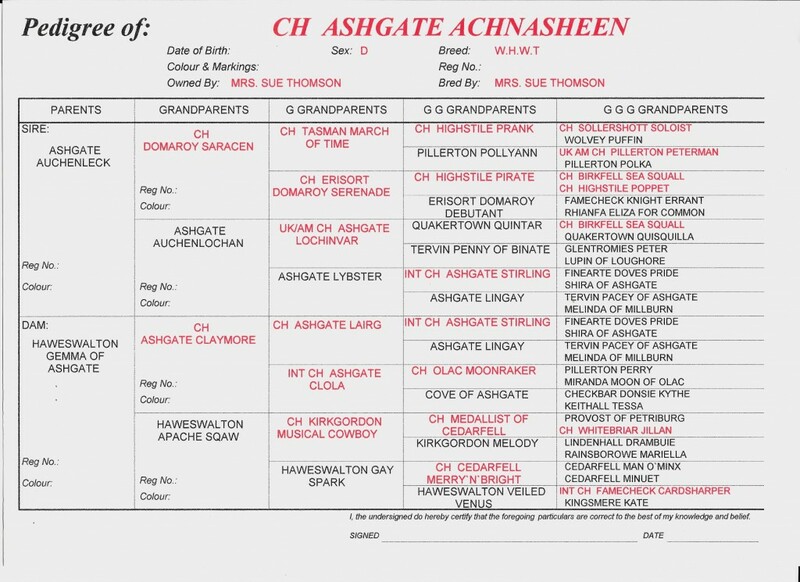 Achnasheen sired three UK Champions, Leckie, Sallachy and Ch Furzeleigh Regal Lad who sired Ch A Hielan Laddie. His litter sister, Lockmaddy became an American Champion. Achnasheen later went to Sweden and gained several titles.